Mille, one thousand. One thousand horsepower, one thousand kilos, a thousand thousands of Euros. The Mille concept has been around for a few years now but has Ferrari done it? 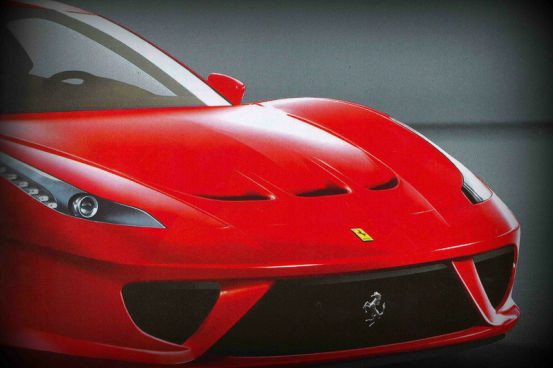 According to Auto magazine the new, yet to be named ne plus ultra from Maranello will use a KERS unit weighing 30 kg and with an output of 150 hp to boost the 6.2 liter V12 from 850 to 1000hp. As for the target weight, use of pre-preg carbon fiber, like on the F1 cars, should make it within reach. If Ferrari comes anywhere close to the mark it will make owners of your various Paganis, Koenigssegs, Porsche 918s not to mention fantastically priced rebodied Lotus Exiges feel real silly! Ferrari's stated target for their HY-KERS system in the F70/Mille is 1 kw / kg (1.32 hp per 2.2 lbs) so a 111kw (150hp) output would require 111 kg (245 lbs) of HY-KERS components. That's not say that Ferrari won't get the car in under 1,000kg but it's going to be tough.